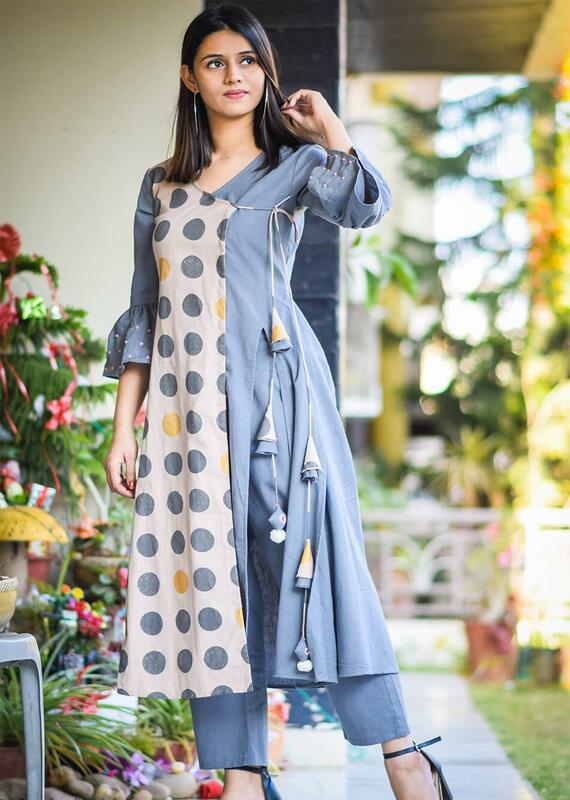 Combining the vintage style with some modern hues, the Artillery aestheticism is one exclusive piece. 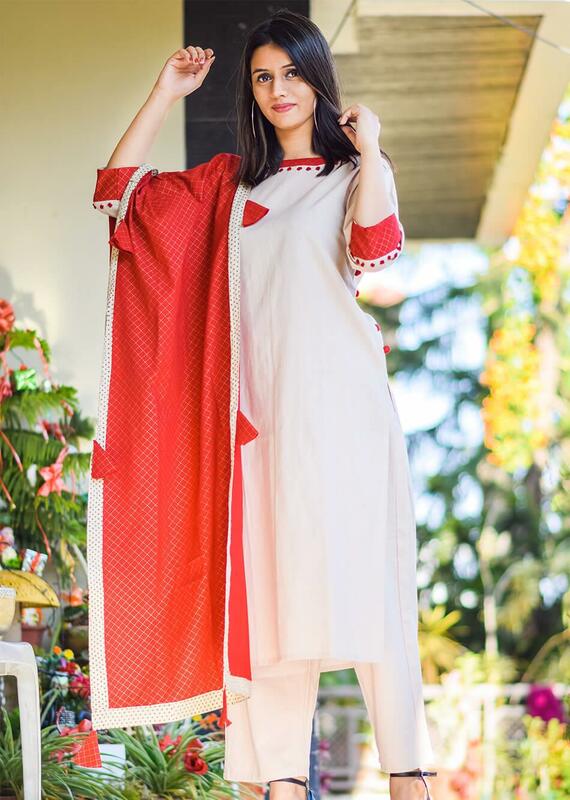 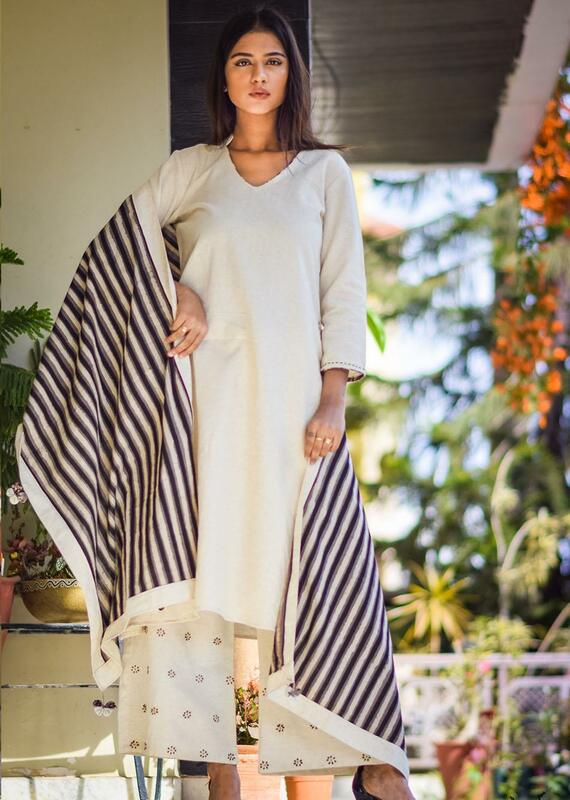 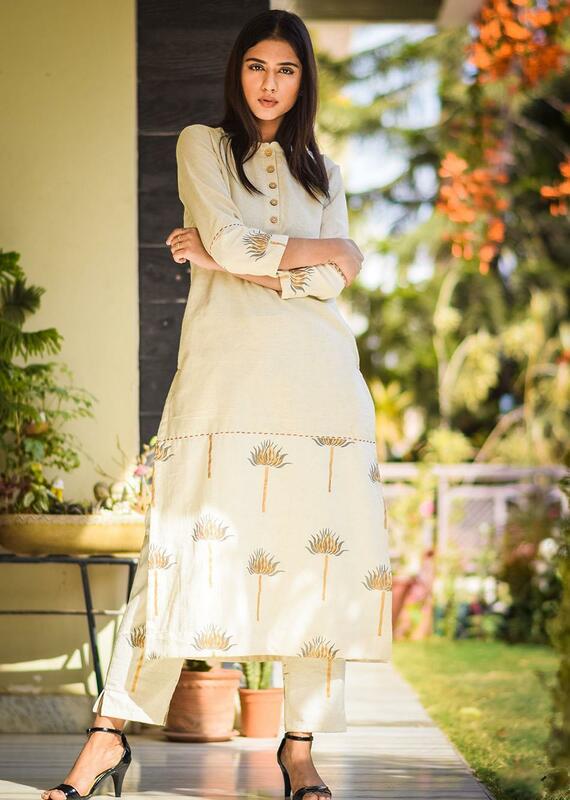 The kurta follows the classic Angrakha concept, to which some drama is added by making bell sleeves. 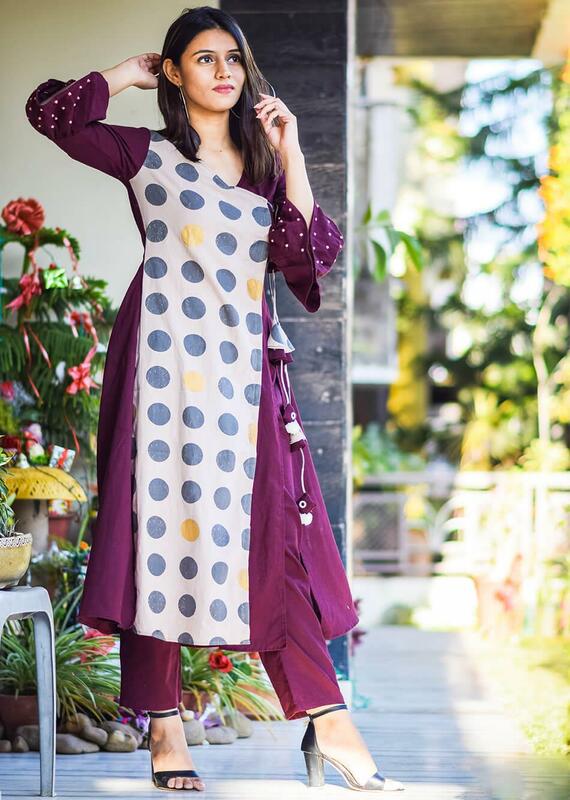 The monotony of army green color of kurta and pant is broken by joining a brown panel of polka dots. 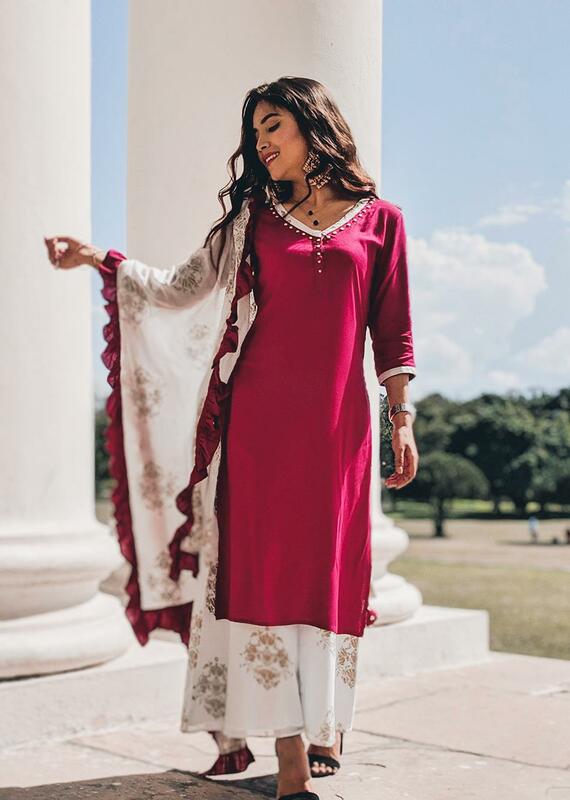 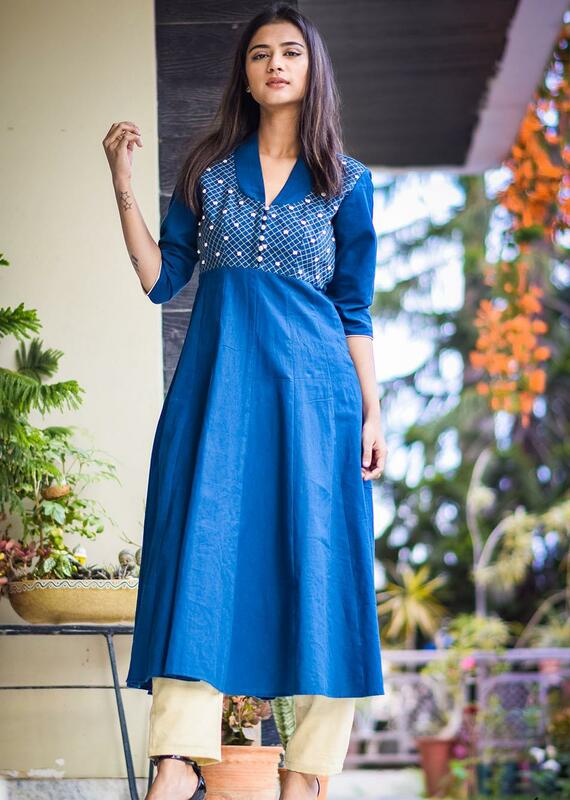 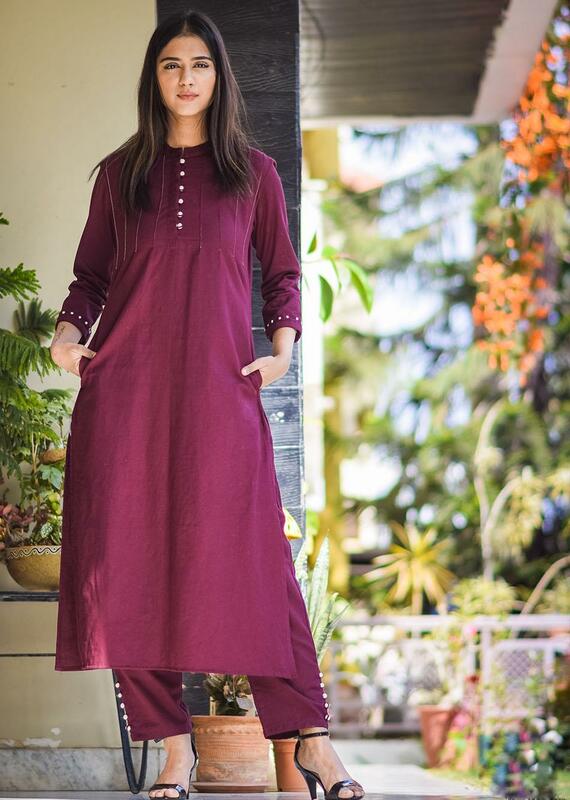 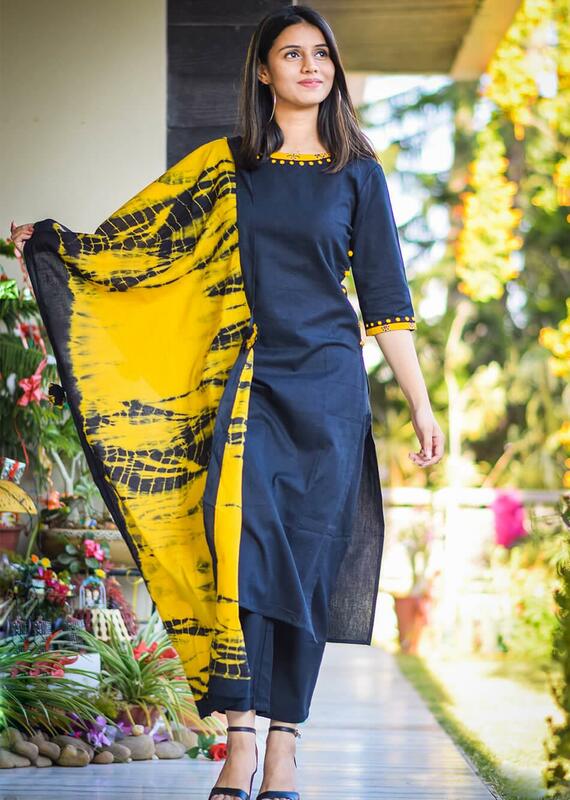 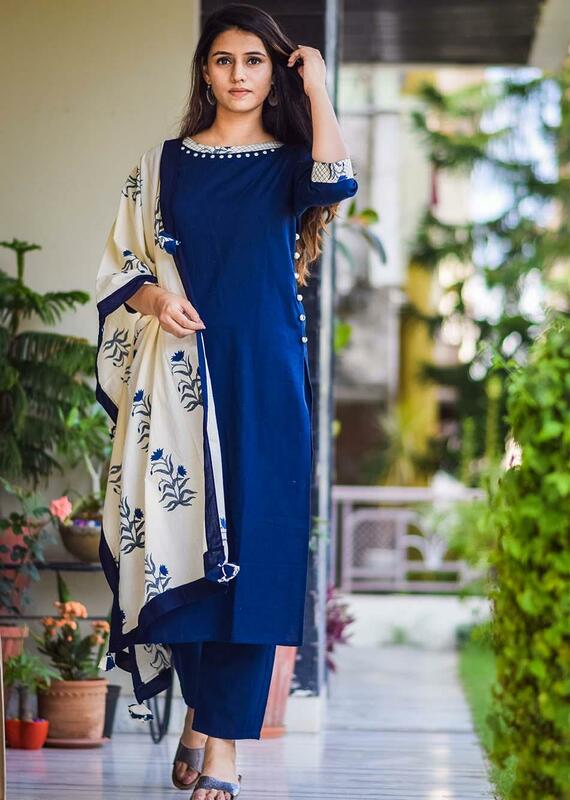 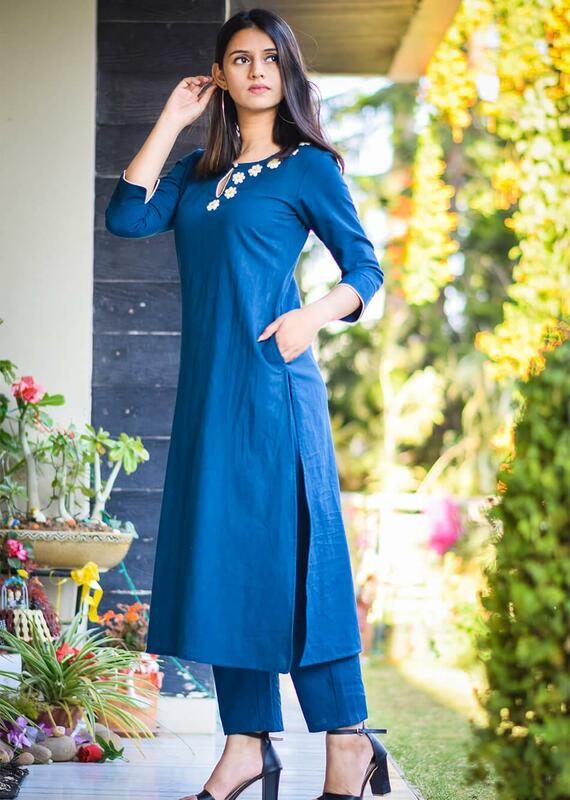 The length of the kurta is till calves, and the neck is V. It is made of flax and cotton and is perfect to present the diva in you.